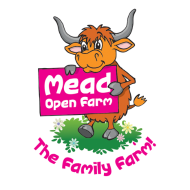 With so many different play activities, there’s so much to do at Mead Open Farm. Across 20 acres of fun, what will you do first? Mead Open Farm definitely has the ahhhh factor. On your day out, you’ll meet friendly goats, pigs, cows, rabbits and more. Plus in supervised hands-on activities, you’ll get even closer. Mead Open Farm also offer discounts on entrance fees for children and carers with Luton's Child Disability Register Card. Contact the farm for more information.